elliven studio: Leon's Hello Holiday Lookbook! Well, friends, I'm pretty thrilled to be able to share some exciting home updates with you! It's all part of a wonderful collaboration that I did a few months ago with Leon's. I'm excited to have been able to be a part of such a great group and to finally to share our Master Bedroom & Family Room Makeovers with you! Say hello to the Hello Holiday LookBook! 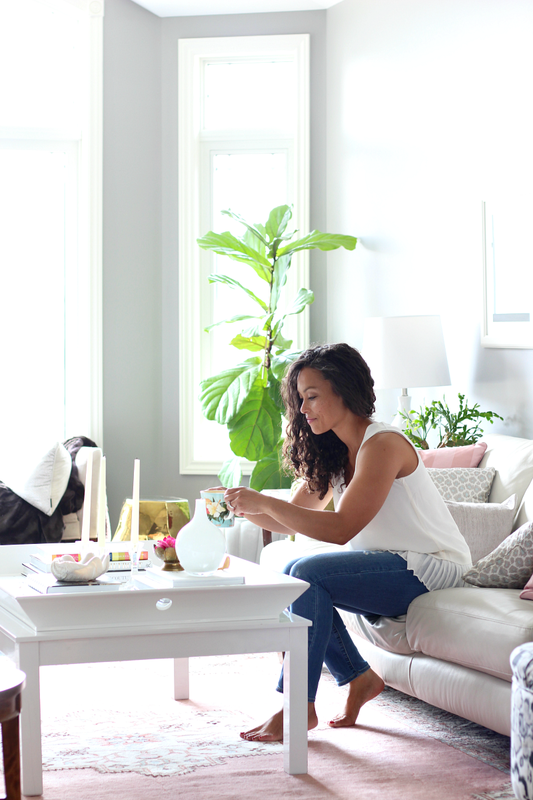 The lookbook is full of room makeovers with emphasis on creating spaces that are incredibly beautiful, but also family friendly and that can truly be "lived" in. Because Leon's knows that life can sometimes be messy! The lookbook also includes some fantastic holiday inspired DIYs from an amazing group of talented bloggers, I'm so thankful to have been able to be a part of such a great group! This lookbook is really lovely and I just know that you're going to absolutely adore it! So grab a delicious cup of hot chocolate and get ready to be inspired! If you're up early, be sure to tune in to BT Toronto this morning at 8:20am to hear Autumn chat all about the lookbook! This looks lovely Julie! Can't wait to see the rest.